Chumbak Designs, a startup that sells products that epitomizes colorful Indian designs has raised funding led by Matrix Partners with their existing investor Seedfund participating in this round as well. The terms & financials of the funding have not been disclosed. Chumbak had previously raised angel funding from SeedFund in August 2013. Chumbak is a offline-online product sales company with a difference. The designs of the product they sell are quirky and colorful, but what stands out is the Indian-ness of their designs. The funds raised in this round of funding will be utilized to launch new categories and expand their offline channels of sales. 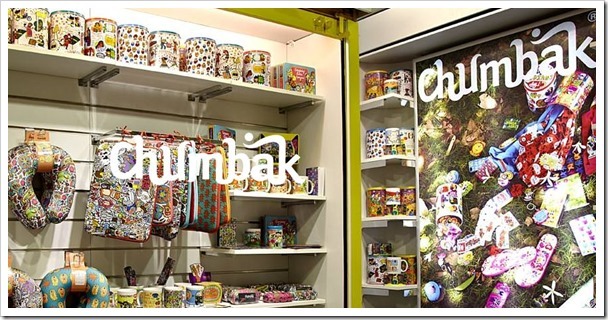 Chumbak plans to develop 60-65 kiosks across India and have retail stores across malls and high streets by March 2015. According to ET report, Chumbak aims to earn a revenue of Rs. 400-500 crore in next 3 years. Interestingly, 80 percent of Chumbak’s overall sales currently comes from offline channels. Chumbak’s current portfolio of products include Apparels, Footwears, bags & wallets, jewellery, tech accessories, travel accessories and Gifting. One thing common across all these categories are their unique India-inspired designs. It is also interesting to note their online sales constitute have about 20 percent of their sales. Chumbak has their products listed not on only on their own site but also on leading ecommerce sites like Flipkart and others. The company was started by husband-wife duo of Vivek Prabhakar and Shubhra Chaddha in 2010 and currently have presence in 20 stores in Bangalore, Mumbai, Hyderabad, Pune and Chennai. SEBI Enables Listing Of Startups Without IPO, Sets Rules For Angel Investments!